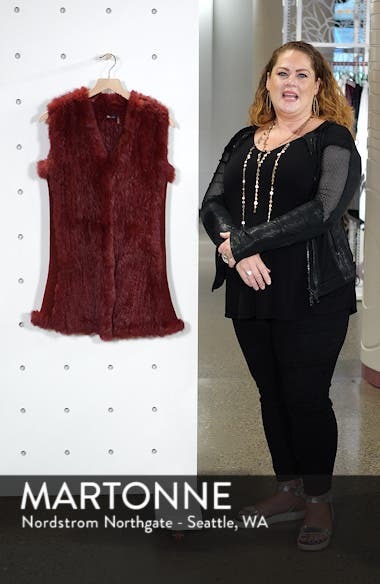 A long vest is crafted from sumptuously soft rabbit fur with rib-knit side panels for a slim, streamlined silhouette. Choose a sizeTrue to size. XS=0-2, S=4-6, M=8-10, L=12-14, XL=16-18.